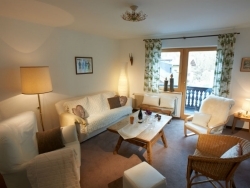 Chaletfinder offer ski accommodation all over the world but there are some resorts that are simply unmissable when it comes to finding the perfect ski chalet. Struggling to find the ideal ski chalet? Austria skiing trips are one of Chaletfinder's specialities and we are sure to find the perfect match for your requirements - just give us a call on +44 (0) 161 408 0441 or fill in our online enquiry form and we will work to find a great range of Austrian ski chalets for you to choose from. Affordability - Despite the excellence of the skiing, Austria is still one of the most affordable ski resorts in Europe and you won't have to spend a small fortune on your ski chalet. Austria will provide the perfect backdrop to an unforgettable skiing trip. Fun Filled Ski Resorts - When you choose to ski in Austria, you can also party hard afterwards because the Austrian resorts are known to offer some of the best après-ski out there. Resorts such as Innsbruck, St Anton and Ziller are just some of the best locations for your ski chalet. Austria is definitely the place to be for an action packed ski trip. Outstanding skiing - The actual quality of the slopes makes choosing Austria ski chalets a great idea because, after all, you want the best conditions for your skiing. Austria has slopes with breathtaking snow and runs to suit all skiing abilities. Chaletfinder will help you find the perfect ski chalet. Austria is incredibly easy to reach from the UK and can be accessed via plane, train and automobile. Let Chaletfinder take care of finding the most impressive range of ski chalets in Austria for you. All you need to do is just look forward to your skiing or snowboarding holiday. Austria is undoubtedly one of the most popular ski destinations and you will be spoilt for choice when it comes to finding a ski chalet. Regardless of when you want to ski in Austria, Chaletfinder will be able to find the ideal ski accommodation for your requirements. To book your Austrian ski chalet today, simply take a look around our website or give us a call on +44 (0) 161 408 0441 and we will work together to get you skiing in Austria in no time. Call now! [short_description] => Nestled in amongst the shops, bars and restaurants and only a short walk from the lifts.